The Education, Audiovisual and Culture Executive Agency (EACEA) of the European Commission has announced the results of this years’ funding call for the development of video games. 23 European games received a total of € 2.580.543. The EACEA received 138 applications from 24 different countries, of which 97 qualified to be evaluated. Out of those, 23 projects from 12 countries were selected and granted a total of € 2.580.543. Two projects have been placed on a spare list. The most succesful countries are Norway (4 out of 4 projects funded) and Lithuania (2 out of 3 projects funded). Unfortunately, the only Belgian entry wasn’t selected. A complete list of the applications by country can be viewed here. Most selected projects are narrative adventures, role playing games and action adventures. Pc is the most supported platform, closely followed by home consoles. 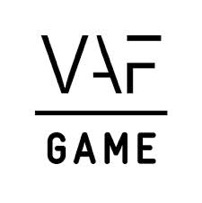 Next to VAF Gamefonds (don’t forget: next call coming up! ), Belgian developers with a proven track record can get additional funding for the development of an original video game from the Media program of Creative Europe. To be considered for a grant the games have to contain narrative elements and must be aimed at a commercial market. Launch platforms and/or distribution methods don’t matter. Last year, Runes & Rivets: Drahlos’ Journey by FLEGA member Monkube was granted € 55.000. The next funding call is expected in November. Applications should be submitted by March 2017.